Offering you a complete choice of products which include Network Video Recorder, CCTV Cameras, Digital Video Recorder, AHD CCTV Bullet Cameras, 720P Weatherproof Bullet AHD Camera with IR LED and AHD Digital Video Recorders (DVR). DIGISOL DG-SC8860VI is a 2Megapixel Fixed Vandal Dome IP camera with IR LED and IR cut filter. This camera offers the latest compression technology with a CMOS sensor & a real time image processing hardware. With its high performance H.264 compression, users can stream high quality video at low bandwidth and storage capacity requirements. It has IR LED for visibility under no light condition. The Modular Design and aesthetic looks of the camera helps to be recessed easily into suspended ceilings or wall mounted with no need for an additional mounting brackets. DG-SC8860VI supports Power over Ethernet, which helps in easy installation by eliminating the need of a dedicated power source for the camera. 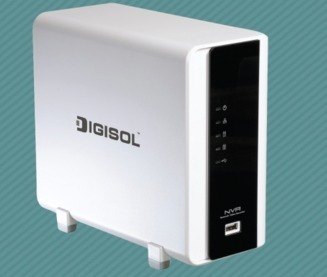 DIGISOL DG-SC6820VPIE is a 2Megapixel Vandal-proof Dome PoE IP camera with IR LED and IR cut filter. This camera offers the latest compression technology with CMOS sensor. With its high performance H.264 compression, users can stream high quality video at low bandwidth and storage capacity requirements. It has IR LED for visibility under no light condition. The Modular Design and aesthetic looks of the camera helps to be recessed easily into suspended ceilings. DG-SC6820VPIE also supports Power over Ethernet, which helps in easy installation by eliminating the need of a dedicated power source for the camera.